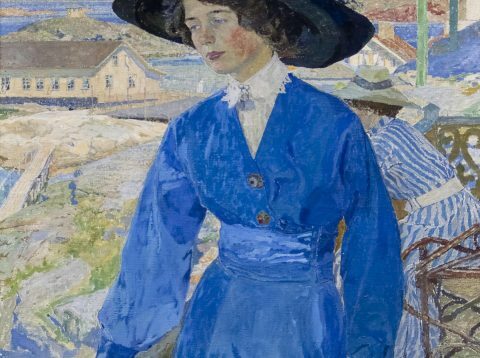 Tyra Kleen (1874-1951) explored the world through her art. She belonged to the art scene in several European cities and portrayed ceremonial dance and drama in South East Asia. But she also found other spheres within literature, art and spirituality. Today, she stands out as a multifaceted artist who added a continental vein to Swedish fin de siècle art. “I am a vagabond and an adventuress by birth and uncurbed habit,” she is reputed to have said. 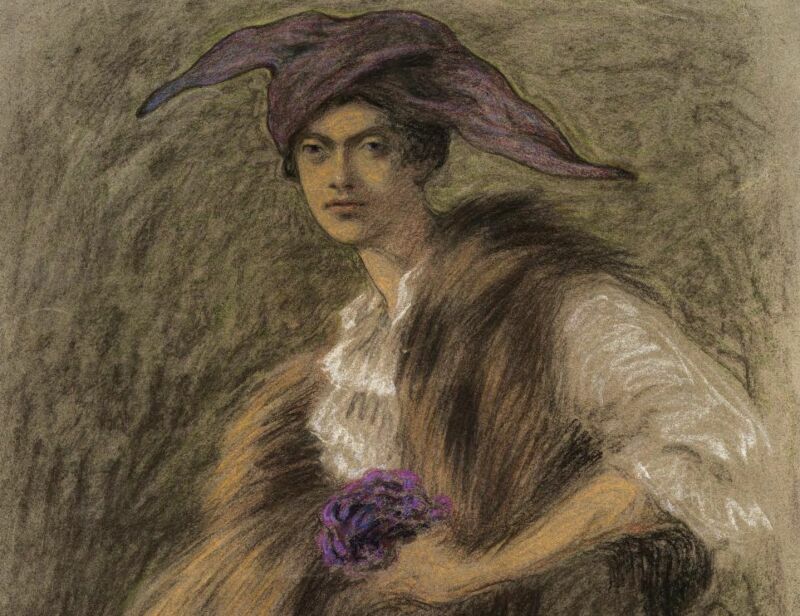 In addition to being an artist, Kleen was also an author and women’s rights activist. 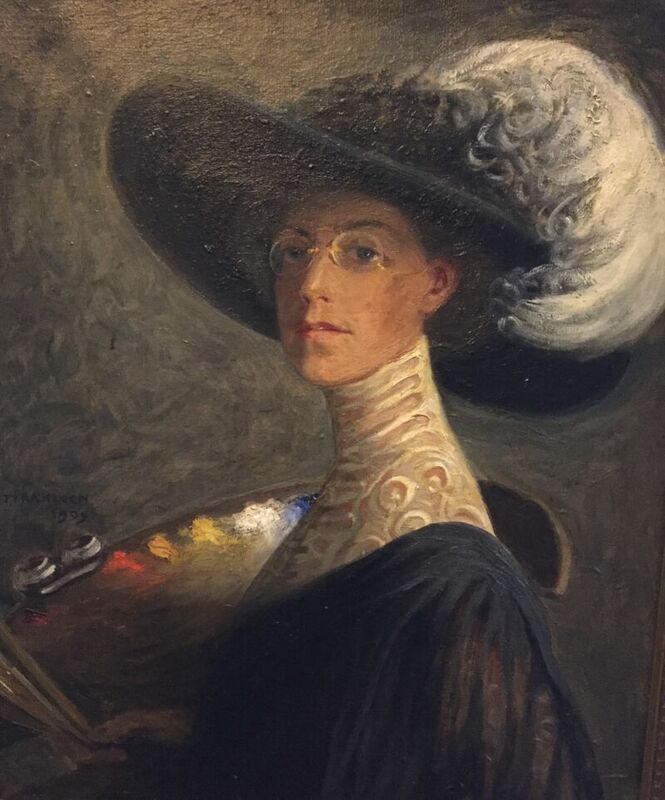 In the summer of 1911, she visited the Thiel Gallery in connection with an international congress on women’s suffrage in Stockholm. Ernest and Signe Thiel had made donations to the organisation and welcomed invited congress participants to their home. 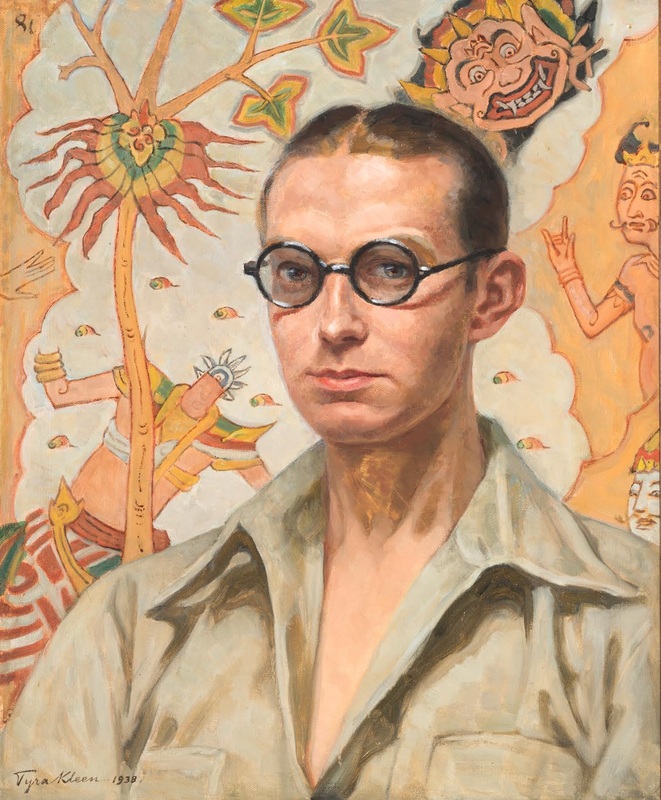 This exhibition features selected works from Tyra Kleen’s entire output of paintings, illustrations, lithographs and publications, presenting a rediscovered artist with a colourful biography. Tyra Kleen grew up in a Swedish diplomat family and as a child developed a taste for a continental lifestyle. In the 1890s, she studied art in Dresden, Karlsruhe, Munich, Paris and, lastly, in Rome, where she lived and worked for many years. In 1909, Kleen moved to Sweden and settled in her own newly-built house on Lidingö. She became deeply involved in the Swedish art scene, exhibiting profusely and was one of the first members of Föreningen Svenska Konstnärinnor, an association for Swedish women artists. Kleen wrote travelogues, novels and books on art theory and was also a journalist for periodicals such as Dagny, the women’s rights advocacy Fredrika Bremer Federation’s magazine. Kleen had absorbed the ideas of symbolism from her artist and writer friends in the many European cities where she lived. 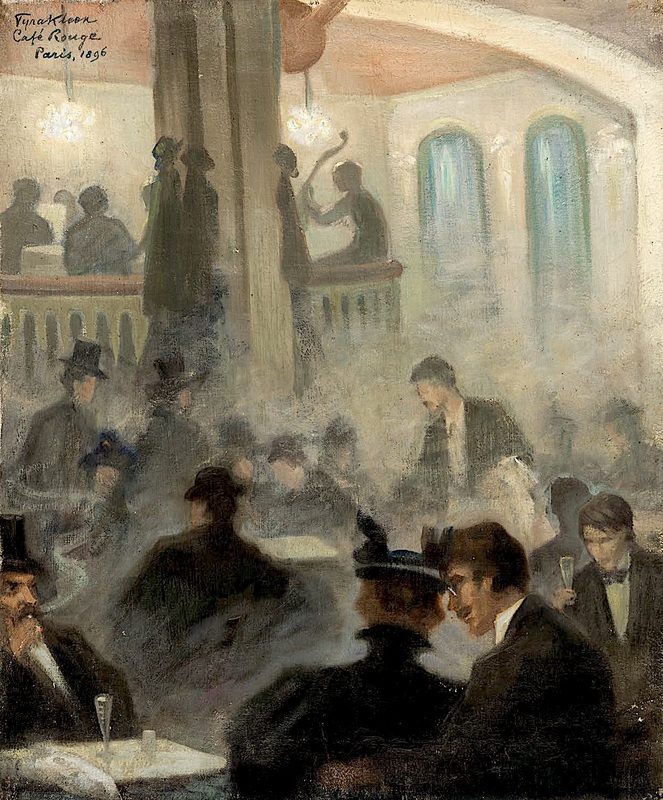 The social scene around the turn of the century also attracted Kleen and provided creative inspiration. Pictures of cafés, fishing villages, handsome men and elegant women portray the atmosphere and spirit of the time. 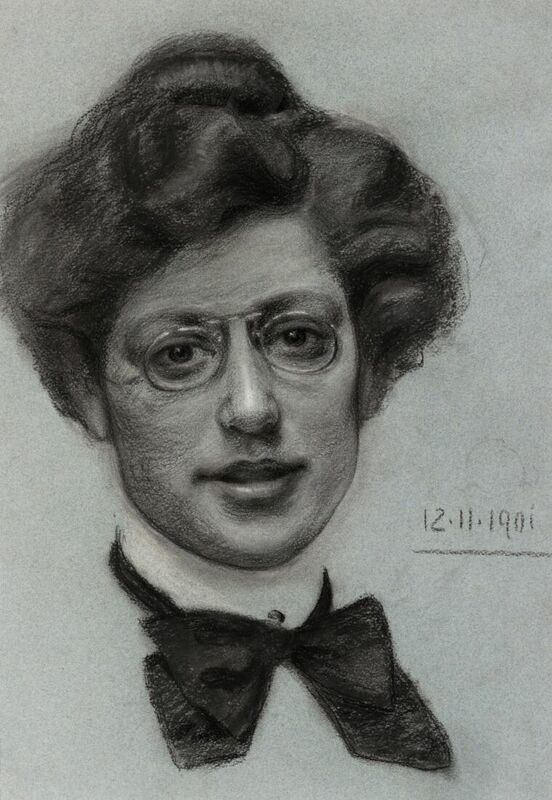 Her self- portrait with a palette, wearing glasses and a black outfit with a high white collar and an enormous plume shows an artist with big ambitions. The purpose of art, according to Kleen, was to convey ideas, preferably in a symbolist style, with a hazy and mystical quality, but still possible to grasp or sense. 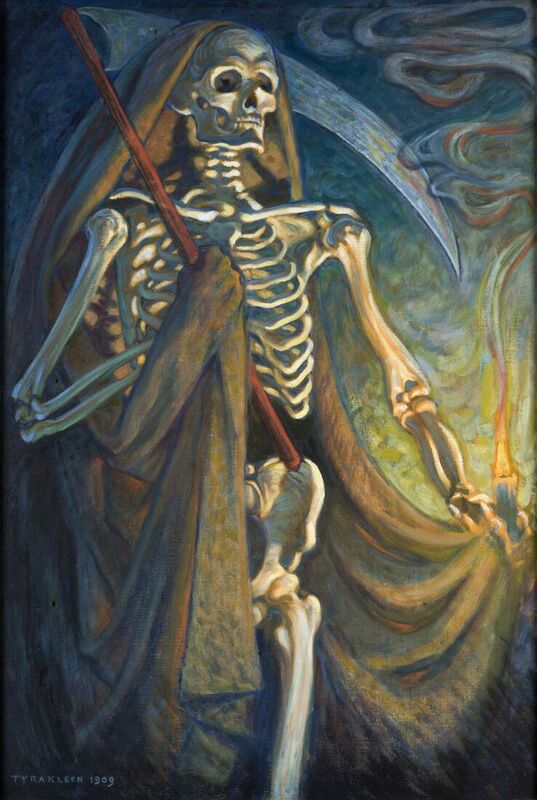 Gethsemane is a biblical motif that illustrates doubt and despair when faced with a superhuman calling, and The Grim Reaper is perhaps the bearer of an unwelcome message from another dimension. 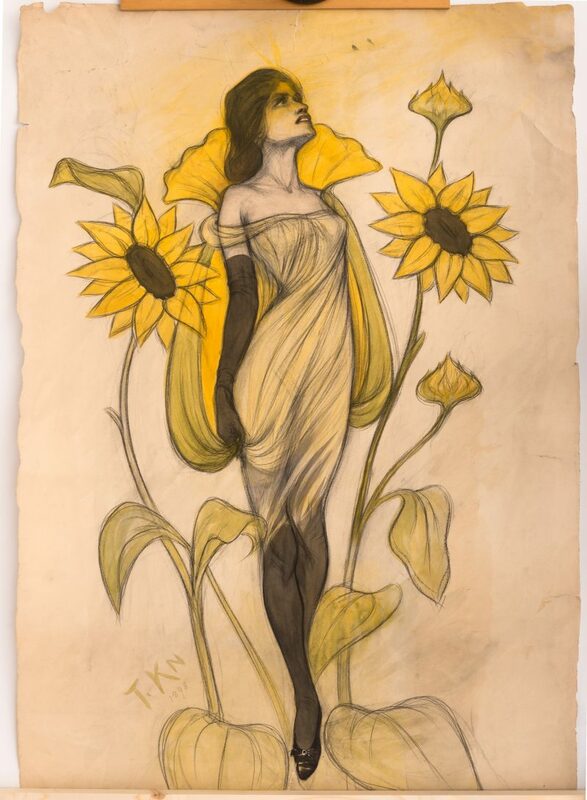 The elegant Sunflower Woman seems trapped between beauty and pain. Tyra Kleen developed a decorative style that was brimming with ideas she had found in modern life and the world of literature and the imagination. There was a renewed interest in prints around 1900. Figuration, clarity, detail and decoration were congenial with the symbolist fascination for ideas, feelings and narrative. Tyra Kleen produced an extensive series of lithographs while living in Rome. She has described the process of carving motifs into rocks and sending them off to be printed. The subject matter is broad, with women resting in magnificent landscapes, critical observations of modern life, and portrayals of human emotional states, along with religious, mythological and literary scenes. 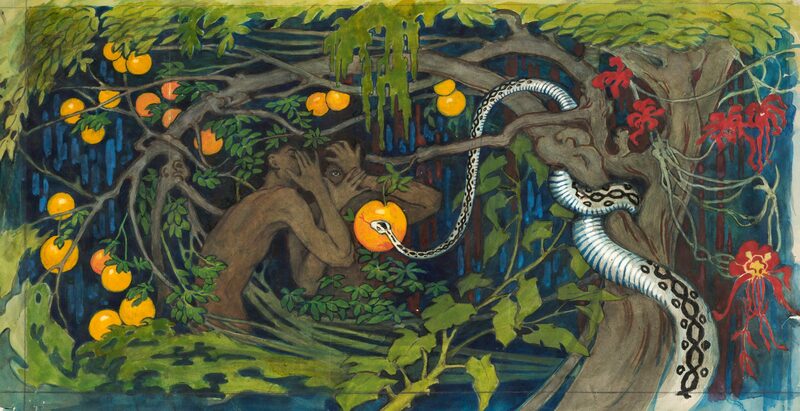 Kleen was also an illustrator of her own writings and those of others. Le Parfum and La Chevelure are poems by Charles Baudelaire, Nevermore illustrates a piece by Edgar Allen Poe. Together, they form a rich universe of images in between fantasy and reality. Portraits were a prime subject, as symbolism also explored mankind’s place in the world. 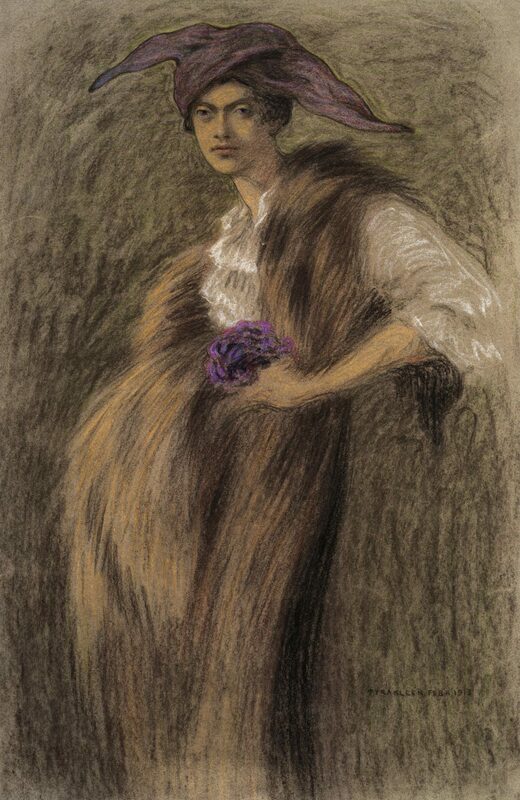 In a large number of pastel drawings, Tyra Kleen depicts people she met on her travels and in her circle of friends – elegant women, handsome men, and mysterious children. 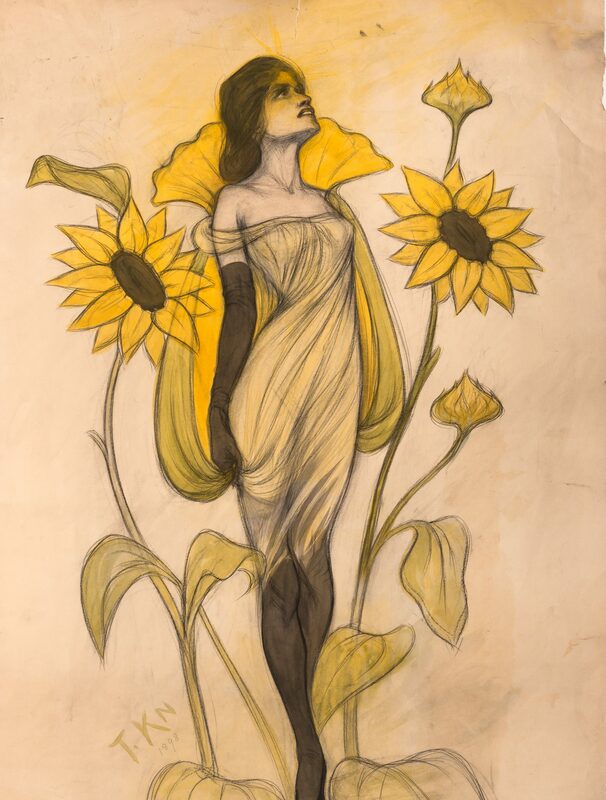 The curving art nouveau style is found in many of her pictures, giving them a sensual quality. The spiritual dimension was another vital source of inspiration. She took a special interest in theosophy, an esoteric belief system that blends Eastern religions with philosophy. 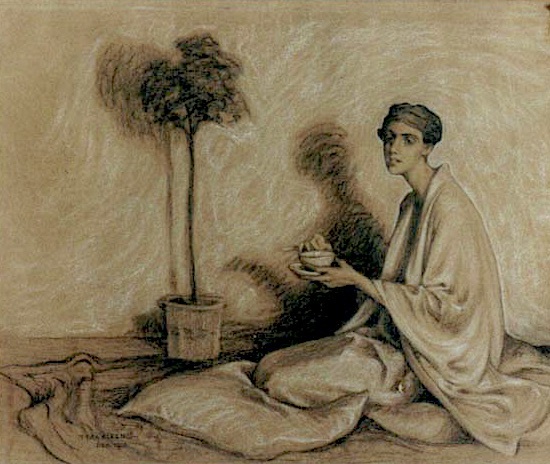 Her works were exhibited at the Theosophical Society in Stockholm, of which she was a member. Motifs such as The Spectrum of the Conscious and The Birth of Athena are about developing the potential of the inner self towards creativity and individual maturity. 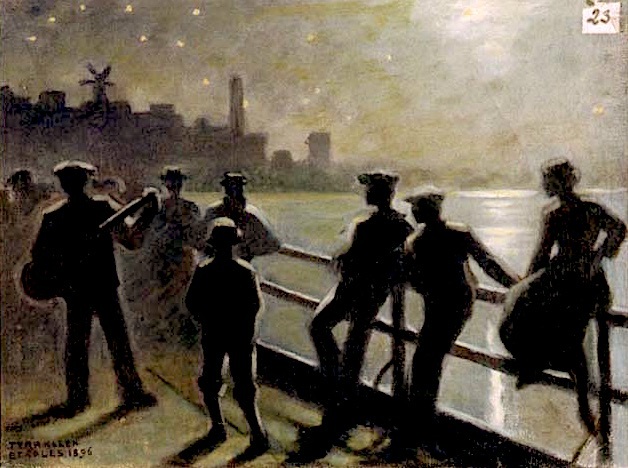 Many Swedish male and female artists around 1900 travelled to other European cities for studies and inspiration. Going to Asia was more uncommon, but Tyra Kleen visited both India, Ceylon (Sri Lanka) and Indonesia, drawn by her interest in dance and Eastern religion. From the 1920s and onwards, Kleen worked especially in Bali and Java. Invited to events at the royal courts in Java, she experienced dance performances, shadow plays and puppet theatre based on Indian epic works and Javanese myths and legends. On Bali, she visited Hindu temples, where she saw ritual ceremonies featuring dance dramas, shadow play and music. Secular dances were also performed in the outer temple grounds. Here, we have selected a few of her original watercolours, which were later published in illustrated books about the ritual dances and dramas from these islands. Hand gestures, body poses, masks, costumes and patterned, colourful textiles, along with accessories such as swords and incense holders seem to vary infinitely. Tyra Kleen considered oriental dance to be the highest art form – the aesthetics of bodies in motion, stylised scenes and underlying stories were perfect for her graceful style. Kleen was protective of her artistic liberty to portray her own impressions, even when they did not adhere strictly to nature. But she was also scientifically meticulous and strove to “put her pencil to the service of ethnographic research”. 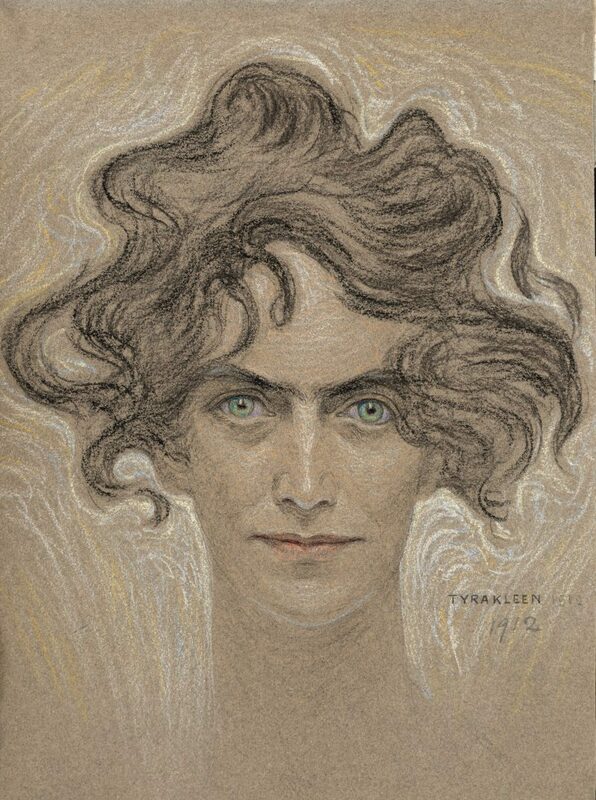 The national romantic movement that dominated Swedish art around 1900 did not suit a cosmopolite like Tyra Kleen. Nor was she ever interested in 20th-century abstract modernism. The portraits you see here were painted in the 1930s and depict her relatives and friends. At first glance, it may seem like she portrays her models realistically, but notice how one half of the face of her mother, Amalia Kleen, looks older than the other. And what secrets are the children harbouring? Tyra Kleen left a large number of paintings, drawings, prints, photographs, manuscripts and illustrations for published and unpublished books, letters, diaries and bookkeeping. 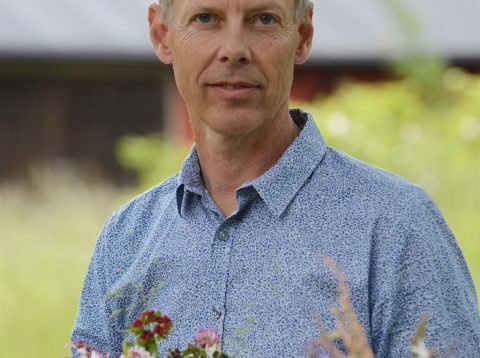 Her entire estate, including the house on Lidingö, was bequeathed to the House of Nobility, on the condition that her works and archive were not made public until 50 years after her death. In consequence, the material has not been readily available until 2001, when the archive was officially opened. Her desire to leave a monumental archive to posterity clashes with the instruction to keep it from the public domain. 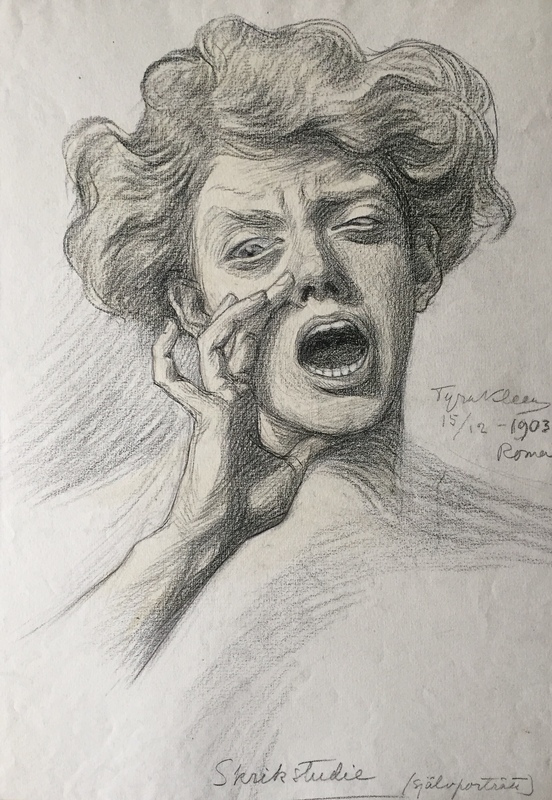 Tyra Kleen fought against the obstacles to women artists. She stands out, with her unconventional life, as a fearless, multifaceted practitioner with an unusual ability to interweave dance, literature, activism and adventure with imagination and spiritual quests, into an exceedingly unique artistic oeuvre.